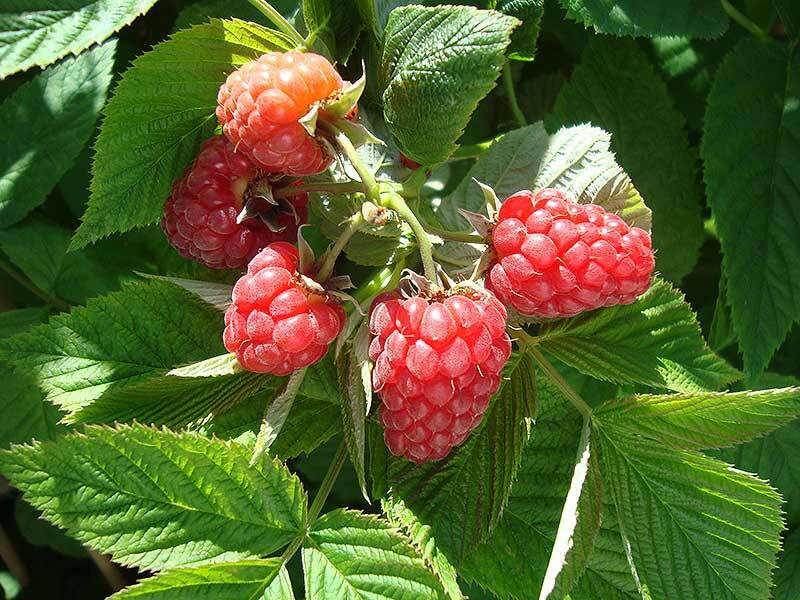 You can contact us for over 150 different varieties of fruit trees and plants. All our plants are in pots and are therefore available throughout the year. Below you will find an overview of our entire range. Sometimes varieties can be (temporarily) unavailable for different reasons. For our currently available list we ask you to contact us. All of our fruit trees have a slow-growing rootstocks on which they are not only perfect for the private garden , but also give really tasty fruits. 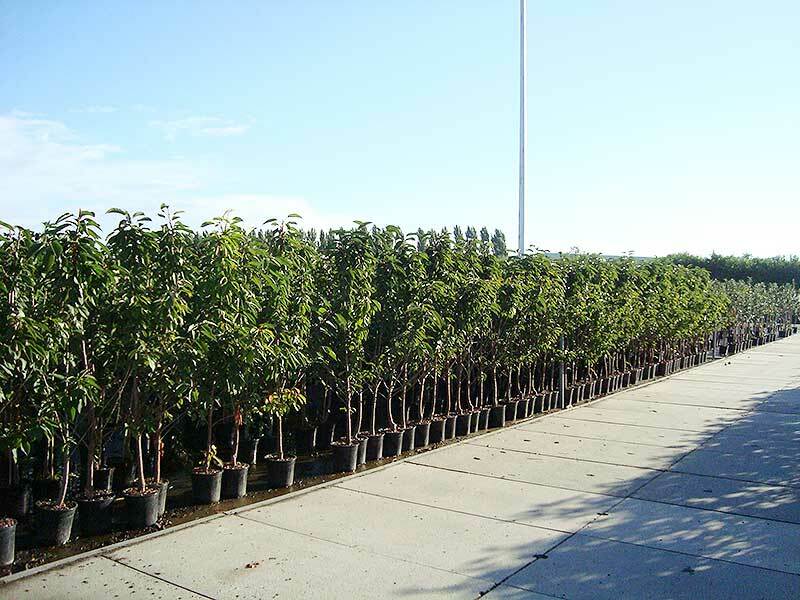 All kinds of fruit trees are available in low-stam form. In addition to that a number of varieties are available as espalier, half-stam , high-stam and patio tree. We also have some trees in column form. For a detailed overview of all available sizes , please contact us. Bolero, Braeburn, Cox’s Orange Pip, Delcorf, Elstar, Gala, Gloster, Golden Delicious, Granny Smith, Greencats, Groninger Kroon, James Grieve, Jonathan, Kordona, Maypole, McIntosh, Notarisappel, Pinova, Redcats, Red Idared, Rode Boskoop, Rode Dijkmanszoet, Rode Jonagold, Santana, Schone van Boskoop, Sterappel, Summerred, Topaz, Zoete Ermgaard, Family-tree (5 kinds of apples on one tree), Duo-apple and Dwarfapple. Beurré Alexander Lucas, Beurré Hardy, Bonne Louise, Concorde, Conference, Doyenné du Comice, Gieser Wildeman, Saint Rémy, Williams, Tiromph de Vienne, Duo-pear, Family-tree (5 kinds of pears on one tree) and Dwarfpear. Anna Späth, Bleue de Belgique, Czar, Hauszwetsche, Mirabelle de Nancy, Monsieur Hâtif, Ontario, Opal, R. cl. d’Althan, R. cl. d’Oullins, R. cl. Verte, Victoria, Voyageur, Family-tree (5 kinds of plums on one tree) and Duo-plum. Bigarreau Napoléon, Burlat, Donissens Gold, Dubbele Meikers, Hedelfinger, Kordia, Morello, Lapins, Merchant, Regina, Stella, Sunburst, Sylvia, Family-tree (5 kinds of cherries on one tree), Duo-Cherry and Dwarfcherry. Peregrine, Saturn (flat peach), Dwarfpeach, Ice Peach, Madame Blanchet, Flateryna (flat nectarine) and Dwarfnectarine. Castanea sativa (chestnut), Cydonia oblonga (quince), Juglans regia (walnut), Mespilus germanica (medlar), Morus nigra (mulberry), Prunus armeniaca (apricot), Dwarfapricot and Prunus dulcis (almond). 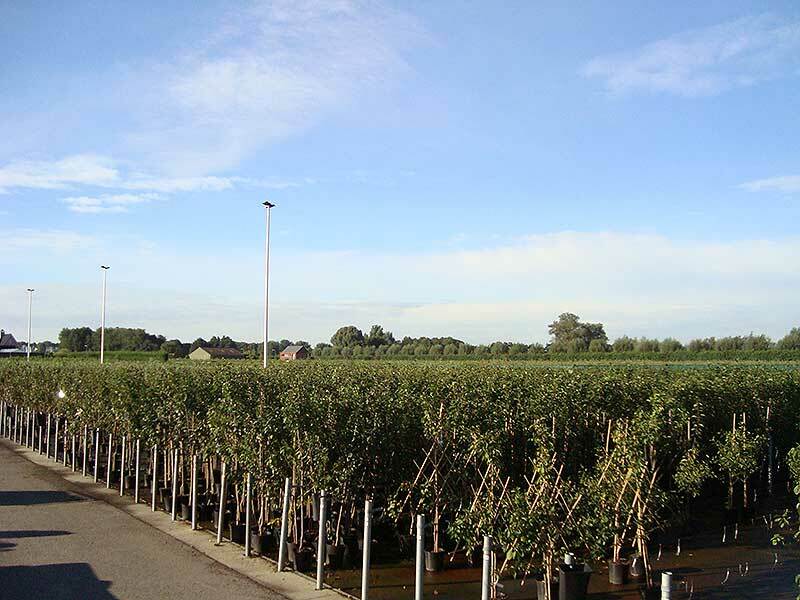 Allmost all fruitplants are available in the 2-literpot, size 11 cm. In addition, a number of varieties are available in a 5-liter pot, size18 cm. contact us to learn more. Atlas, Jenny, Hayward, Issai, Ken’s Red and Weikii. Cosford, Halle’sche Riessen, Rode Zeller and Webbs Prize Cobb. Jonkheer van Tets, Rolan, Rovada, White current and Blackcurrent. Captivator, Hinnonmäki Grön, Hinnonmäki Röd and Tatjana. Black Satin, Chester Thornless, Himalaya, Navaho, Thornfree, Thornless Evergreen and Triple Crown. Aroma Queen, Autumn Bliss, Fallgold, Glen Ample, Heritage, Himbo Top, Malling Promise, Schönemann, Tulameen and Zefa Herbsternte. Bleucrop, Duke, Goldtraube, Hortblue Petite, Jersey, Sunshine Blue, Pink Lemonade (pink berry) and Miss Cherry (lingonberry). Bianca, Black Alicante, Boskoop Glorie, Coignetiae (decoration grape), Fanny, Frankenthaler, Glenora, Heike, Himrod, Katharina, Léon Millot, Muscat Blue, Muscat of Alexandria, Parel van Zala, Phoenix, Purpurea (decoration grape), Regent and Solaris. 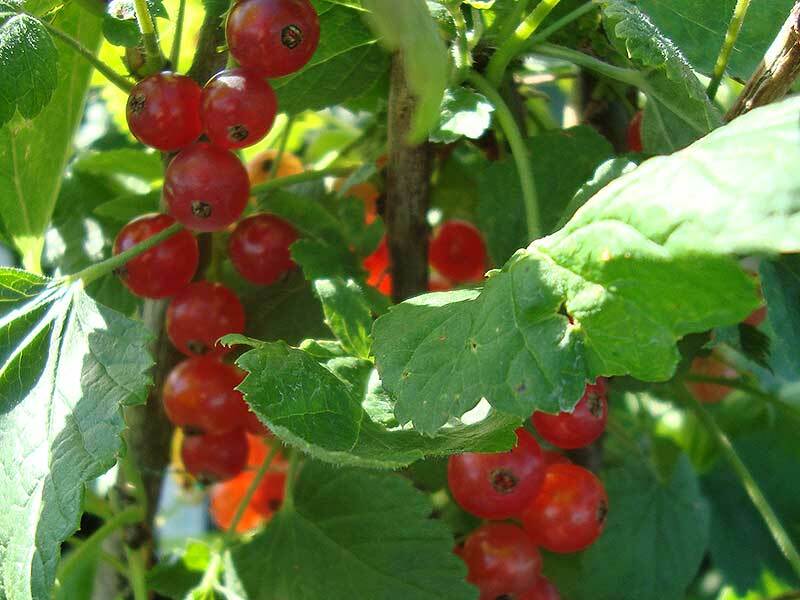 Ficus carica (vig), Lonicera caerulea kamtschatica (blue honey berry), Lycium barbarum (gojiberry), Ribes Jostabes, Rubus Loganbes, Rubus phoenicolasius (Japanese wine berry), Rubus Tayberry, Vaccinium macrocarpon (cranberry).